If you have a problem with your necklaces tangling while wearing them, you will love this simple hack! 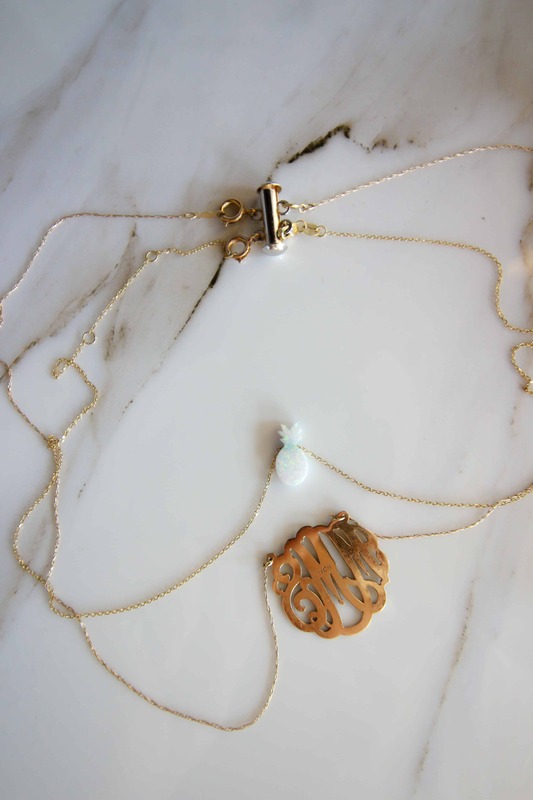 I am pretty simple when it comes to jewelry – I wear the same monogrammed necklace every day. I’ve worn it ever since Sean gave it to me as a wedding gift. But, when Luke was born, Sean gave me a necklace with his birthstone on it as well. It was the perfect length for layering, so I thought that I would wear both of the necklaces together. However, this was an immediate problem. The shorter necklace got wrapped around the longer one a lot. I wasn’t doing anything crazy – just normal wear was causing them to get tangled. I had Sean untangle my necklaces several times. 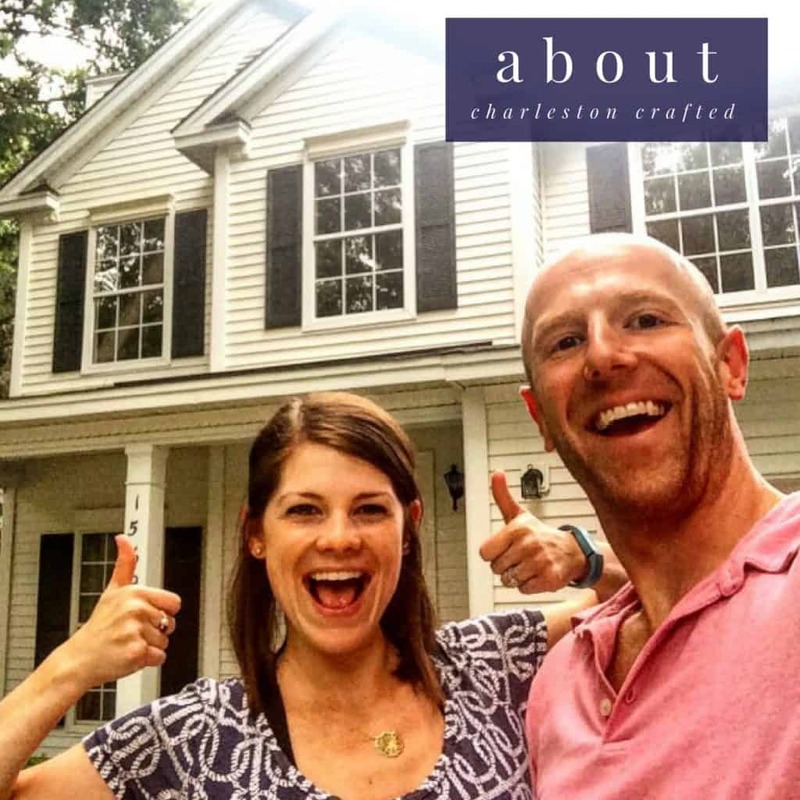 It was when they were so knotted up that it took him half an hour and a pair of tweezers to untangle them that I decided to look for a solution to keep my layered necklaces from tangling while I was wearing them. I have been able to successfully keep my layered necklaces from getting tangled while wearing them by using a layered necklace spacer. Click here to pin this hack to your Pinterest board! I bought my layered necklace spacer on Etsy. It was about $11. I also found this multipack on Amazon, but I have not tried these personally. A layered necklace spacer works by creating a new clasp for your necklaces. 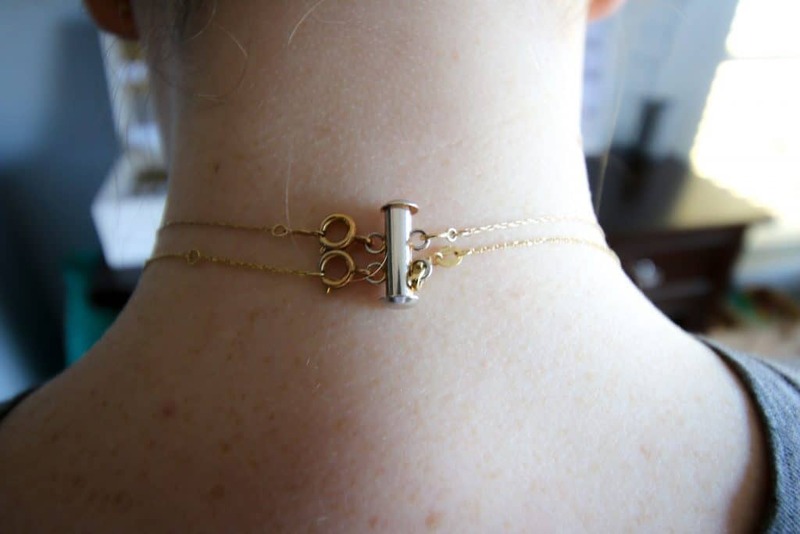 You can buy them with spots for 2 or 3 layered necklaces. The spacer has 2 pieces. One end has loops that you hook your necklace clasps to. The other end has clasps that you clasp to your necklace’s loops. Then, you slide the two pieces together as a new clasp. Warning: be sure that you line the necklaces up in the same order on each side to have them hang correctly. Since I have started using a layered necklace spacer, I have not had any trouble with my necklaces getting tangled! 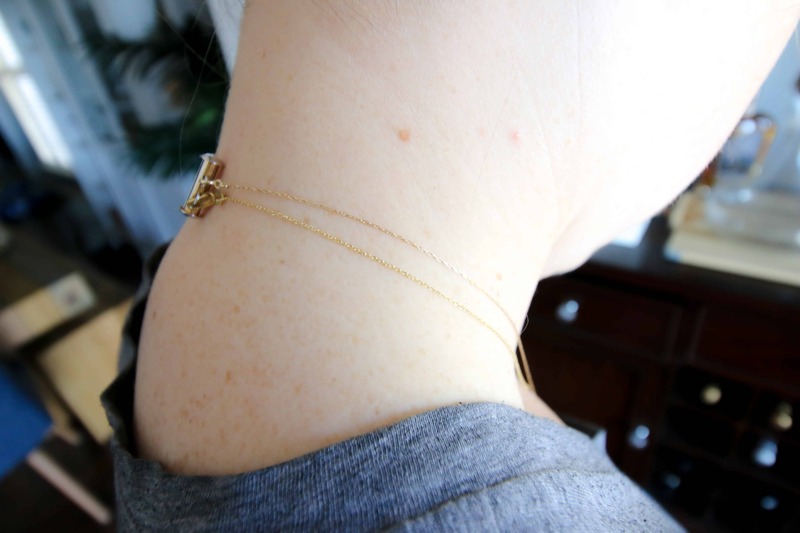 I thought that this was an awesome jewelry hack and I had to share it with you! Do you have any favorite tips for keeping jewelry from getting tangled?